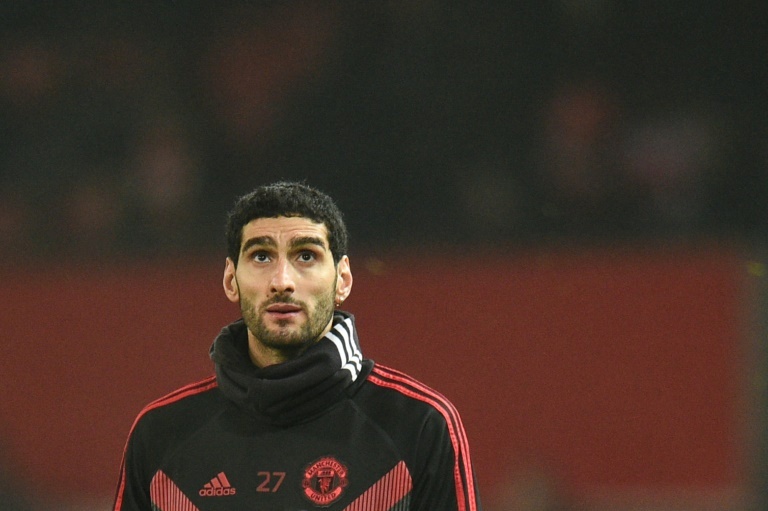 SOCCER NEWS - Marouane Fellaini should brace for a culture shock at Chinese club Shandong Luneng following his move from Premier League Manchester United. The 31-year-old - known as "Fluffy Head" in China, although he now has short hair - on Friday became the latest player to swap Europe for the Chinese Super League on big money. AFP Sport takes a look at the Belgian international's new club and the traffic-clogged city that will be his home. Shandong Luneng Taishan, as their full name goes, are based in Jinan, a fast-growing city of about 7.5 million people in China's east. Jinan is the capital of Shandong province. Fellaini will need a wardrobe for all four seasons. Jinan is currently about as chilly as Manchester, but it can easily drop well below freezing. Summers will be much hotter than northern England, nudging above 30 degrees Celsius (86F). But it's not all grim. Jinan is known for its fresh-water springs, so when he is not choking in traffic, Fellaini can get away from it all at the Baotu Spring, which was declared the "Number One Spring under Heaven" by a Qing Dynasty emperor and was beloved by ancient poets. There is also the sacred Mount Taishan, which is on the World Heritage List and "one of the most beautiful scenic spots in China", according to UNESCO. Shandong Luneng are one of China's heavyweights and have won the top league four times. They were in the title hunt last season before finishing third, 10 points behind champions Shanghai SIPG, and were runners-up in the Chinese FA Cup. Shandong's stadium holds about 60,000, but there are usually plenty of empty seats among an average crowd of about 25,000. The team play in fetching all orange. There will be a familiar face for Fellaini in the form of Italian striker Graziano Pelle, who joined from Premier League Southampton in July 2016 for £13.7 million ($17 million). Shandong last season bucked the CSL trend and were the only team in the league's top six to have a Chinese coach with Li Xiaopeng, a former international.